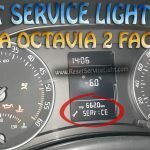 Reset the headlight bulb failure warning light Skoda Octavia 2 Facelift. Produced in : 2009-2013. 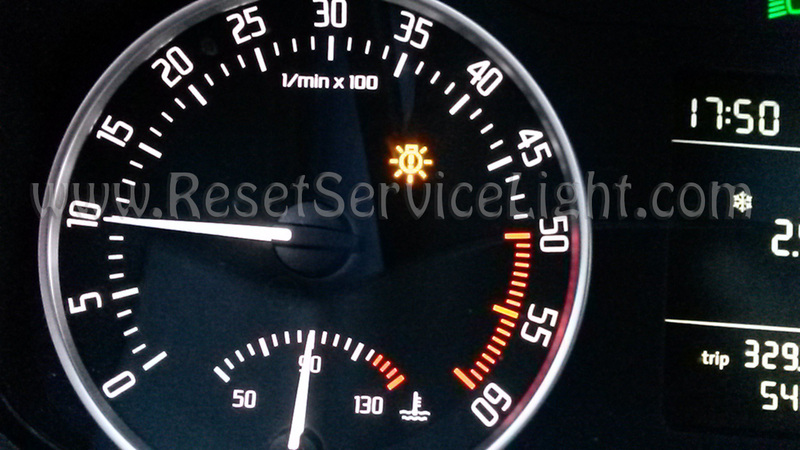 The bulb failure warning light appears when the a light bulb from your Skoda Octavia 2 Facelift is now working. 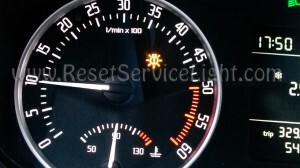 To reset the bulb failure warning light you must fix the problem and replace the broken bulb then the indicator will reset by himself. To change the burned headlight bulb on a Skoda Octavia 2 FL you need to remove the headlamp, to do this you must lift up the hood and then to unscrew the plastic screw located behind the headlight. After that, down besides to corner of the headlight (bottom) it is a hook you must pull it. Now you can remove the headlight, behind has a rubber protection covering the short beam lamp, pull out this protection. To remove the bulb from the lamp should turn it and then pull the plug from the bulb. After you have changed the bulb before installing headlight back check that the new bulb works. Hear it is a video how to change the burned headlight bulb ona a Skoda Octavia 2 Face Lift. Now go and start the engine you will see the burned headlight bulb warning light that it is still on, to reset th indicator after about 5 min stop and start the engine again, done the light is reset.